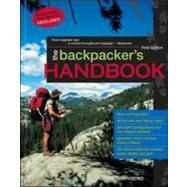 Outdoor Skills Books - Books on Sports - Sport Books: Catalog of books about your favorite sports. 2019 Outdoor Skills books on sale now. Buy your 2019 Outdoor Skills books with us today. We have many Outdoor Skills books to choose from and each purchase comes with the ease and convenience of Sportspool's online experience. We hope you find the Outdoor Skills book that is perfect for you! "'Essential insights from a master of the sport.' --'Outside Magazine This outdoor classic, praised by major climbing magazines, is one of the leading guides to a sport that at least 7 million Americans enjoyed last year. 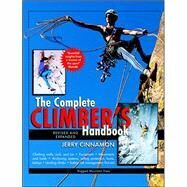 'The Complete Climber's Handbook is now fully revised to ride the crest of climbing's surging wave of popularity." "The author of The Advanced Backpacker and the Backpacker's Pocket Guide offers a handbook for all skill levels of hiking that covers a wide range of backbacking issues, including how to use a map and compass, survival skills, tracking, and more. Original. 15,000 first printing."